He was the greatest Designated Hitter in the history of the game of baseball. Everyone agreed. So, why wasn’t he in the Hall of Fame? Because, the voters decided he couldn’t play well enough to be in Cooperstown. A major league baseball team has 25 players during the regular season. In September, during the last month of the season, the rosters are expanded to 45 as teams call up players from their AAA teams to see who will get an invite to spring training. But, for the majority of the year, there are 25 players. And while they all play baseball, they don’t all play it the same way. Most teams will divide up their team this way. You’ve probably played baseball, or at least softball. True, the pitcher had to have some specialized skill. The rest of the positions on your softball team may have been interchangable. Maybe you put the big slow guy at 1st base. You put the worst player in right field, because softball doesn’t really have left-handed batters who pull. But, you probably just put people in a position without thinking about it much. On a professional baseball team, there is very little overlap between roles. Take the relief pitchers, for example. The five or six pitchers are going to have very specialized roles. You’ll typically have a mix of left and right handed throwers. You need a long reliever, who can eat up a lot of innings if your starter gets in trouble. You have a setup man. The guy who comes in the eighth inning to get three outs and turn it over to the closer. The closer is expected to pitch the 9th inning. If you’ve ever seen a game where the closer blew the save and let the game get tied in the ninth, the manager doesn’t leave him in there long. Why? How is it that a starting pitcher can go 120 pitches, but a closer will get pulled after 30? Because while the roles look similar to you and me, they are very different. A project team has very specific roles. And just as a baseball team can’t mix and match their players, you shouldn’t do that on your project team. Here are some of the roles needed on a project team. Every project is squeezed for resources. It might be tempting to skimp a little on the roles. We must have the engineers, but can’t an engineer also test code? Shouldn’t the guy who wrote it be able to teach it? Can we combine writer/trainer? Product and Project managers sound sort of the same. Can’t we combine them? The answer to all of these questions is no. Well, I guess you could, but it would hamstring your project. When engineers test their own code, they tend to miss things because “it’s obvious.” Writers are introverts. Trainers are extroverts. Asking one to be the other is a fruitless. And Product Managers are concerned with selling your project to the customers or stakeholders. The Project Manager is the guy who owns the schedule. He’s the one that has to make hard choices when it’s time to cut features. He’s also the one that gets to tell management that the project is going to be late. That’s not a job the Product Manager wants. The point is that as a project manager you need to identify the resources you need on your team, and then build to that design. Sometimes you are forced to build a team out of the resources you are given, rather than the ones you choose. Okay, that’s most times. But, you can still identify the roles you need. The player I mentioned at the beginning? 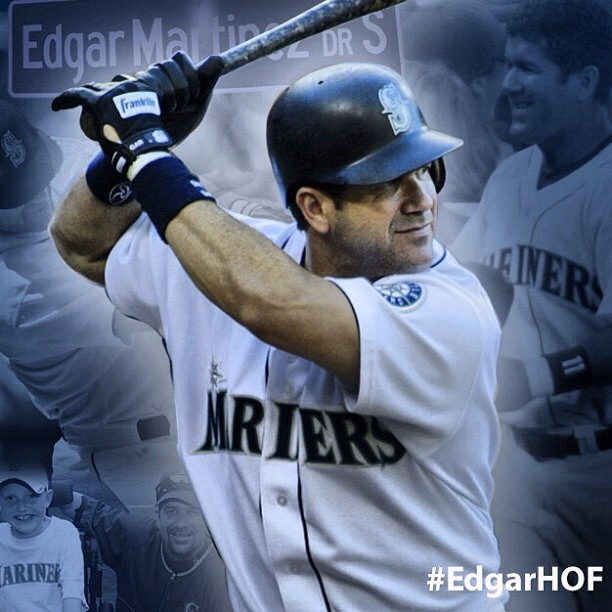 Edgar Martinez. In a 14 year career, all with the Seattle Mariners, he compiled a .312 batting average with an impressive 514 doubles. He is on the Hall of Fame ballot, but hasn’t earned near the 75% of ballots needed to get into the Hall. Edgar had a big strike against him. He spent most of his career as a designated hitter. He rarely played the field in his later years. HoF voters seem to feel that he needed to be more balanced. Never mind the fact that American League pitchers don’t bat at all, and they get elected to the Hall. The point is that roles are important; in basebal and in business.